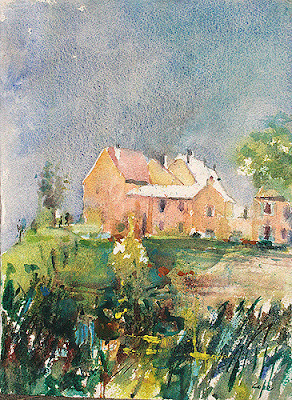 Watercolour in the pouring rain…. is closer to circus than painting? To have come out from underneath the umbrella with ANYTHING AT ALL would have been an achievement! hmmmm, is there any wisdom here?